Whether you are a Nebraska resident or an out-of-state driver, a misdemeanor or felony drug arrest can have a severe effect on your life and long-term future. A drug conviction can impede your career, impact child custody, and bring incarceration and devastating fines. 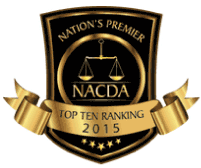 At this pivotal moment, hiring the right attorney is one of the most important decisions you will ever make. As thousands of past clients from across the country can attest, Olsen Law Offices, P.C., L.L.O.. is the premier criminal defense law firm in Nebraska. 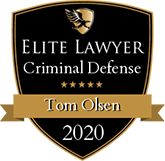 Attorney Tom Olsen, a Former Assistant State Attorney General and Assistant Omaha City Prosecutor, has 30 years of trial experience you can depend on. 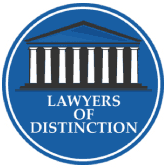 With a reputation known throughout the state's legal community, including prosecutors with whom Attorney Olsen negotiates on behalf of his clients, he is the dedicated advocate to have by your side. As recreational marijuana has become legal in a growing number of western states, including neighboring Colorado, a new front in the War on Drugs has opened in Nebraska. Interstate 80 is now a common route for transporting legally purchased cannabis eastward. Recognizing this, police frequently target rental trucks and vehicles with out-of-state plates. These stops often yield large loads of marijuana and charges of possession with intent to distribute, drug manufacturing, or drug trafficking for drivers and occupants. Meth, cocaine, and heroin busts also occur. Many of these traffic stops involve questionable or illegal law enforcement practices, including unjust drug dog searches and illegal search and seizure. Attorney Tom Olsen will conduct a full investigation of your case, to see if you are a victim of unlawful police action. If so, he will request dropped charges. Otherwise, he will negotiate with prosecutors to reach the best possible outcome, including the National Safety Council, Nebraska Diversion Program for first-time offenders. If you live in another state and were arrested in Nebraska for drug crimes, Attorney Tom Olsen is the drug lawyer to entrust with your case. 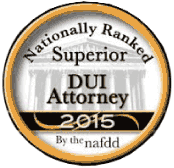 Attorney Olsen has successfully defended hundreds of out-of-state clients facing serious drug charges. He will work to get a bond agreement that allows you to return home, and to receive a waiver so you are not required to attend your initial plea hearing. Depending on the severity of your charges, you may not have to appear until Attorney Olsen arranges a full dismissal or a beneficial plea deal. Do not worry that the justice system will treat you more harshly as an out-of-state resident. Attorney Olsen will be there to defend your rights every step of the way. When your employability, financial well-being, and freedom are at stake due to drug allegations, Olsen Law Offices, P.C., L.L.O.. is here to help and fight for you. With a free consultation, Attorney Tom Olsen will discuss all available options and how to proceed. Contact an experienced Hamilton County defense attorney today at 402-598-5789. 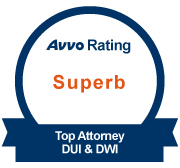 We also serve clients in Lancaster County, York County, Buffalo County, Lincoln County, Hall County, Lincoln, Papillion, Sarpy County, Seward, York, Grand Island, Kearney, and North Platte.